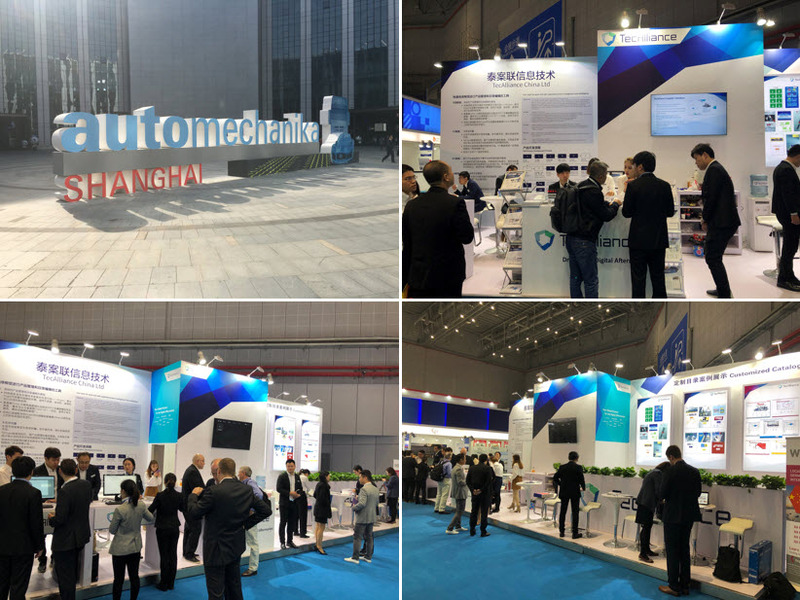 Automechanika Shanghai, which took place from 28 November to 01 December 2018, was again a great success for TecAlliance China. The company’s growing recognition in Asia resulted in a record number of visitors to the trade fair stand. The trade fair once again proved to be the ideal platform for networking and exchanging information with international customers, partners and interested parties. Matthias Moritz, Managing Director for Asia at TecAlliance, used the occasion to present certificates to new TecAlliance data suppliers from the Asia region. As part of the CAT programme(China Aftermarket Talent Development Programme), a group of students from the University of Shanghai for Science and Technology (USST) visited the TecAlliance stand. Here they learned about the crucial role of data in the IAM. Since March 2018, numerous world-renowned companies have participated in this programme, which combines theory and practice to give students in-depth insights into the automotive aftermarket. Automechanika Shanghai is the most important trade fair in Asia for auto parts, accessories and services. This year over 6,250 exhibitors and about 140,000 international visitors were expected. In our field report, you can read about how the Chinese data supplier Tantivy has benefited.